Create a new macro in the player inventory component named Is Holdable? 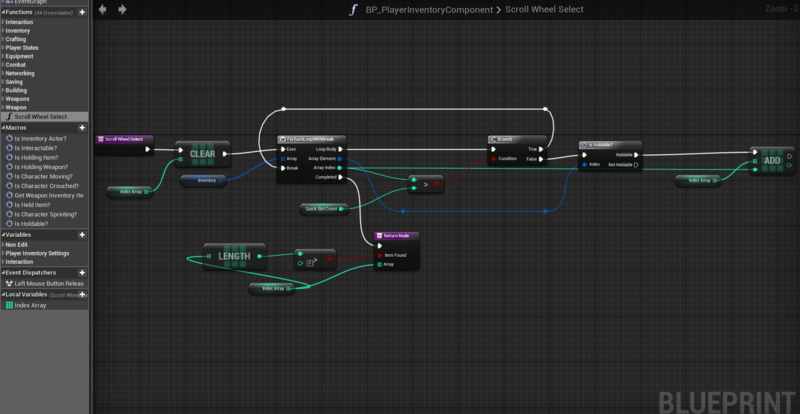 Then add the nodes shown in the image below. 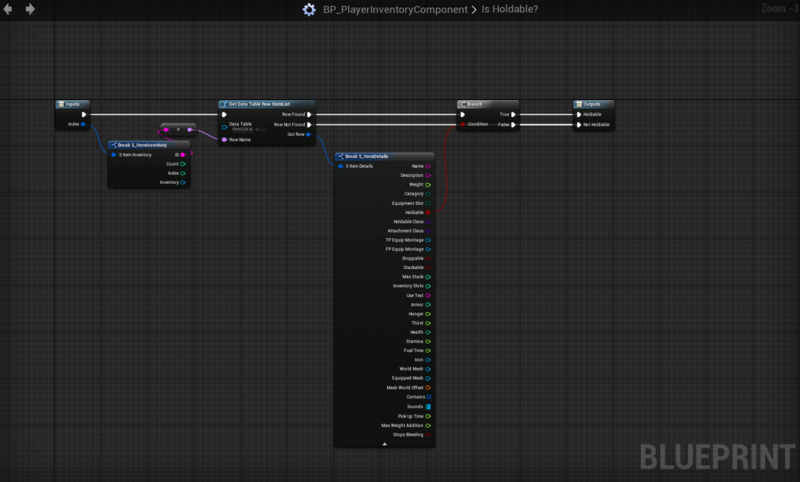 Next in the inventory component create a new function and name it Scroll Wheel Select, and copy the nodes shown in the image below, the Index Array variable is a local variable not a normal variable. Next in the survival character, you will need to copy both the images below, you will need to create 2 new variables called, Scroll Index and Last Index. both Integer and set the values to -1. You can click on the images to see a bigger image.